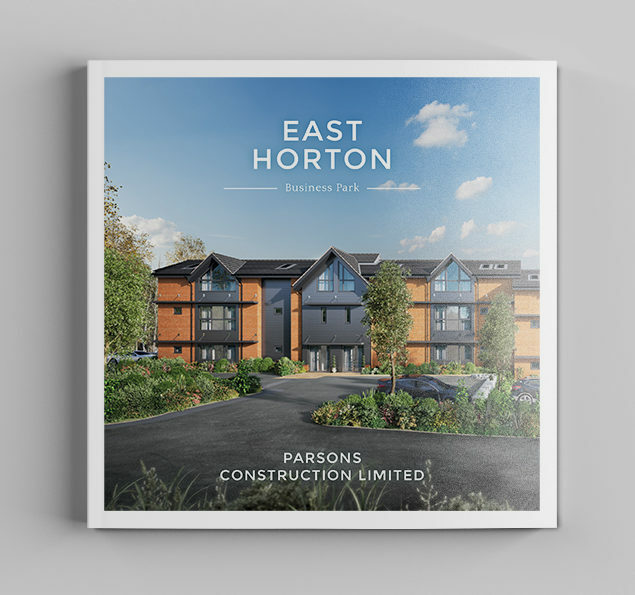 #InTheStudioThisWeek: Parsons Construction Limited* has received the Glow-designed brochure for its new commercial development, East Horton Business Park. 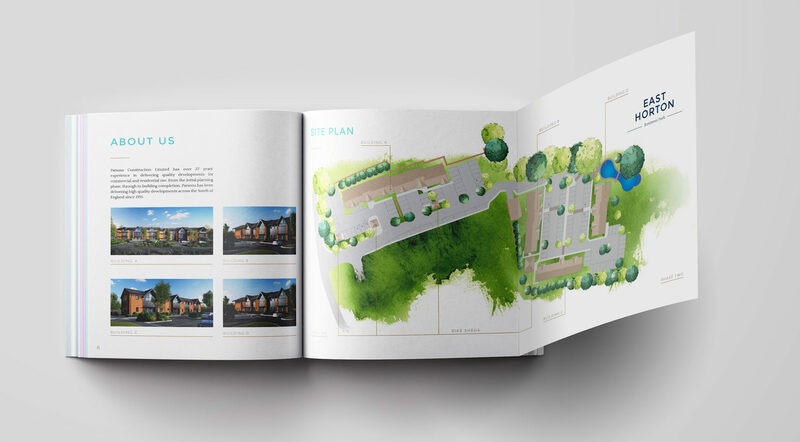 Parsons got in contact with us at Glow, as they wanted us to design and brand a swanky new brochure for the commercial development, complete with Computer Generated Images (CGIs) of the offices, floorplans, site maps and specifications. Parsons has a great team, who we really enjoy working with. They even provided some fantastic photography of the surrounding area taken using their drone, which we’ve used throughout the brochure design. We’ve since taken the brochure design and applied the design across large-format posters that will be displayed on the hoardings at the site, to display details of the development and the CGIs – we’re excited to see the CGIs in large-format, as they truly are beautiful. 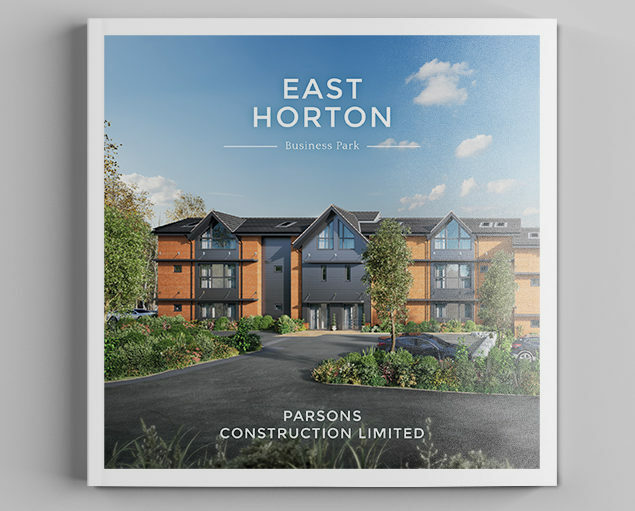 *Parsons Construction Limited has over 27 years’ experience in delivering quality developments for commercial and residential use and East Horton Business Park is their latest offering; the first phase being the development of Four, Grade A B1a office units in Fair Oak, Eastleigh, Hampshire. 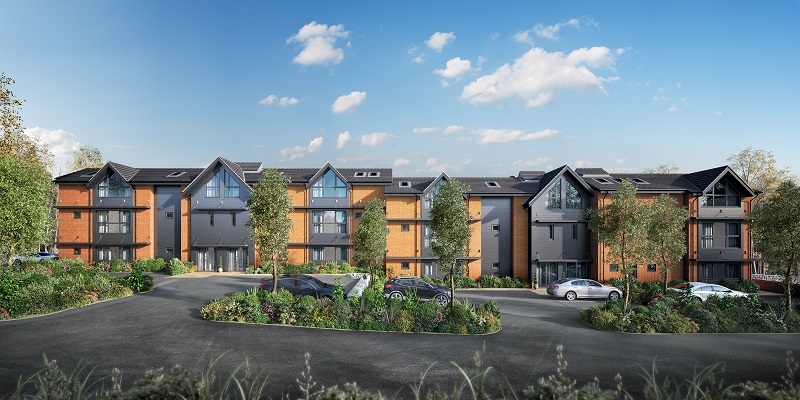 East Horton Business Park is right next door to the South’s major transport links and networks, just 5 miles from Southampton Airport Parkway and only 2.5 miles from Hedge End train station.